looks fantastic, what carpet did you use for it? It’s a 4 way stretch and easy to use. 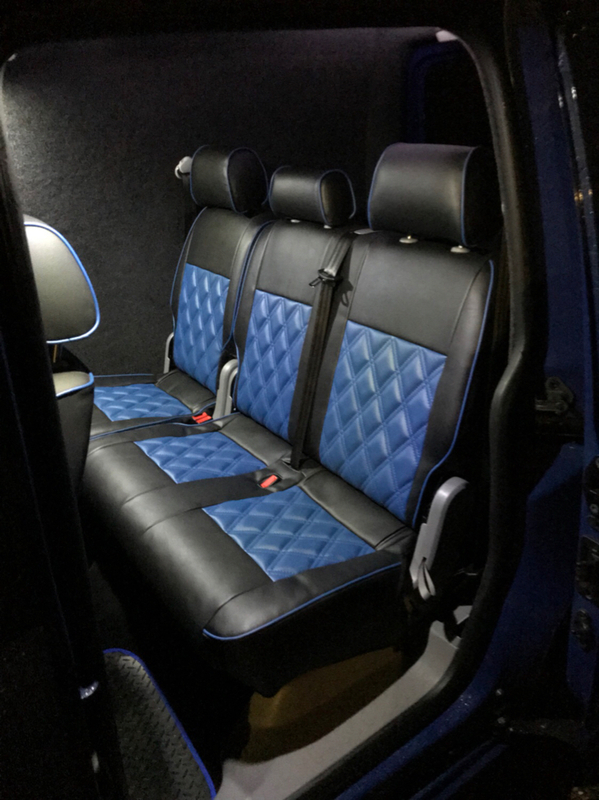 The rear seats are from a caddy life. They fold up to give you the van space back, they are not the pull out type, but only have 4x 10mm headed bolts if you needed them right out. Local scrap yard did a fantastic deal on seats, seat belts, all fixings, front and rear carpets. I have loads of pics if you need any help. The rear seats are from a caddy life. Update on rear seat conversion. 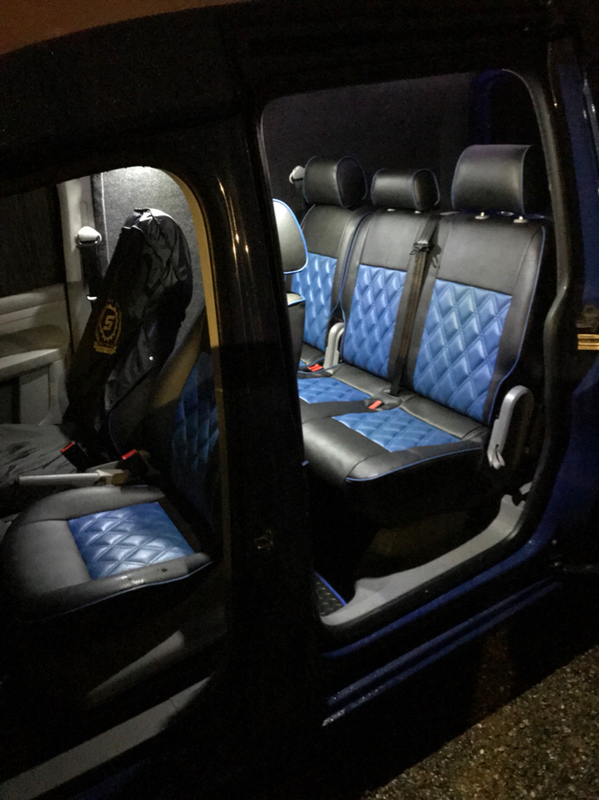 Just had seat covers made to match the front leather. Andy1234 wrote: Update on rear seat conversion. Looks really good dude, question for your ply lining, what/How did you fix the main ply side board in place? Last edited by Doc on Fri Feb 01, 2019 2:54 pm, edited 1 time in total. Last edited by Doc on Fri Feb 01, 2019 3:00 pm, edited 1 time in total. Looks awesome, How difficult was it to carpet the parts that were not ply? Hi nice job can i ask what sound deadening you used?thanks..